You're all set! Confirm you want deals for Fanno Saw Works in -zip-? You can take advantage of your local manufacturer of quality blades today! With our sharpening centers, you never have to worry about your blades getting dull or rusty ever again! You never have to worry about your cutlery or pruning tools when you purchase them from Fanno Saw Works. When you shop at our store, you will find the best prices on name-brand blades as well as a fantastic place to have the blades you already own sharpened. 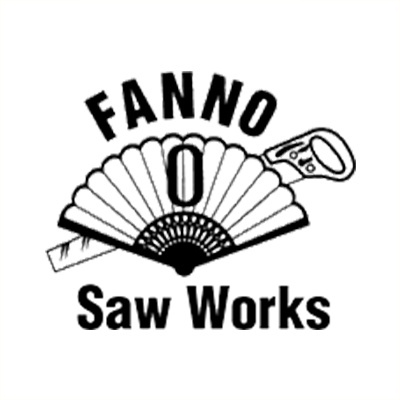 With innovations like the pole saw or the folding saw, Fanno Saw Works and its company Fanno International can provide you with high-quality products! If you want to maintain the health and effectiveness of your cutting tools, you need to have them sharpened often; this is where we can help you! If you keep your cutlery sharpened, you will find your knives are easier and safer to work with! You can also maintain the value of your blades by having them sharpened regularly. For your saw blades, staying sharp is a top priority. If you don't keep your carbide or steel blades sharp, they'll lose their luster. Proper maintenance is essential for your blades. You can choose from the highest quality brands of cutlery when you shop at Fanno Saw Works. You have access to fine cutlery intended for culinary hobbyists. Whether you are looking for kitchen cutlery or cutlery for field or tactical use, you can find it on our shelves, right here at Fanno Saw Works. Folding knives, hunting knives, and even gentlemen's pocket knives are available to all of our customers. So contact us today to learn more about what we have in stock.